Purple is such a perfect color; it looks good on everyone, it�s feminine but not overbearing, it works with neutrals and colors and it just exudes positivity. Amethyst is a gemstone that displays the color purple in all of its glorious beauty. There is really nothing to be upset about when you�re watching the purple shimmer of an amethyst, your cares just get lost in the majestic and serene gemstone. The uniqueness of Amethyst is that it is at once calming and uplifting. With all of these amazing qualities of Amethyst, we a pleased to offer you a wonderful selection of Amethyst rings, Amethyst Pendants, Amethyst Earrings and Matching Amethyst Jewelry Sets. We have items in every single precious metal: white gold, yellow gold, sterling silver, two-toned. A lot of our Amethyst jewelry is sparkling with diamond accents. 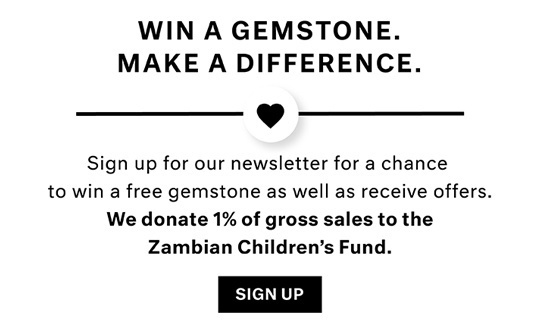 Enjoy your Amethyst jewelry shopping! Forget expensive manicures and chipped nail polish, the easiest way to take your hands from drab to fab is to throw on a ring. 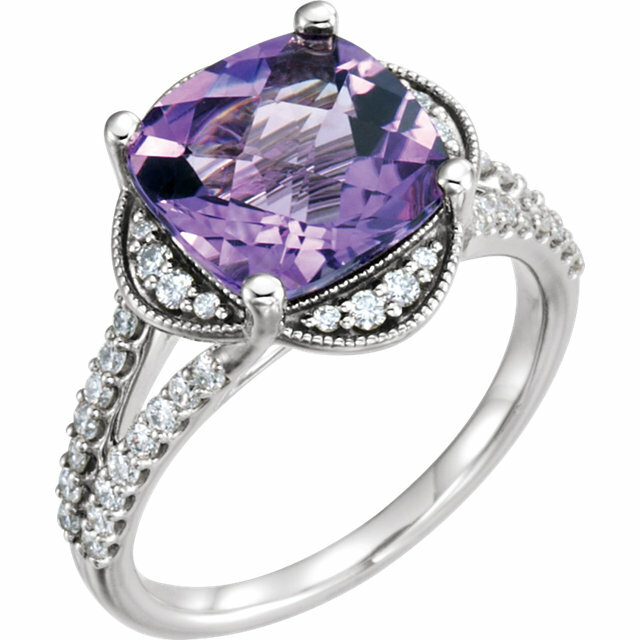 An amethyst ring adds color, femininity and glamour to your hands instantaneously. We have dainty rings, chunky rings, cocktail rings, fashion rings and every time of ring that you can think of to suit whichever mood you are in. 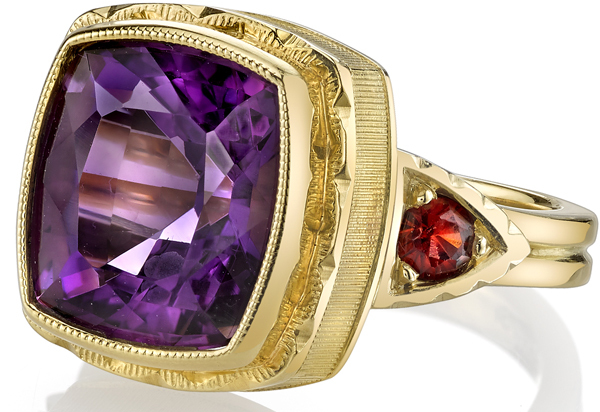 If you�re trying to spruce up your look, an Amethyst ring will definitely do the trick. While all jewelry is nice, earrings and pendants are for everyone else to enjoy and admire while rings are the jewelry that you will be able to look at and take pleasure in all day long. Treat yourself to your favorite Amethyst gemstone ring. If it�s getting close to birthday time for your girlfriend, wife, daughter, mother, grandmother, granddaughter, sister, coworker or any female in your life, consider an Amethyst Pendant for a gift this year. 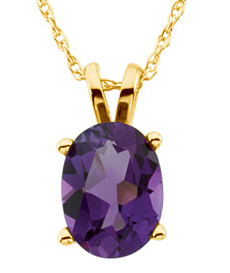 Regardless of who she is, every lady would appreciate a stunning Amethyst Pendant. With our selection of 14 Karat White Gold, 14 Karat Yellow Gold, Sterling Silver, and two-toned, you can definitely find the Amethyst pendant of your dreams. What kind of earrings do you like? Studs? Long and Dangly? Small and Modest? Loud and Eye-catching? 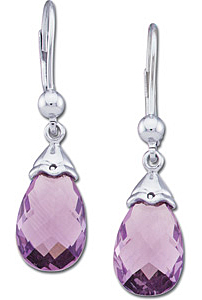 Whichever earring style calls out to you, we surely carry a pair of Amethyst earrings in that style. If you�re looking for a way to add color into your look but you�re not sure how, Amethyst earrings are a surefire way to add color without being tacky. If you are a total Amethyst fanatic, be sure to check out our selection of Amethyst matching jewelry sets. You can find a beautiful trio of an Amethyst Ring, Pendant and Earrings and best of all, you save 15% when you purchase them as a set. Let the Amethyst lover within you go wild and indulge with a beautiful set of Amethyst Gemstone Jewelry. FREE Shipping on All Amethyst Jewelry.